The Oscars 2017 has come and gone, but the celebs’ inspiring, high-fashion looks can still leave a lasting mark on your own wardrobe. I’ll be sharing head-to-toe styling tips on how to get that glamorous, red-carpet-ready look for upcoming events (even weddings!) that require star-worthy primping. Accessories: Your accessories should be chosen carefully. If your choice of wardrobe involves many details around the shoulders and the neckline, opt for a pair of statement earrings and an updo (see swoon-worthy hair photos). This way, the details in your wardrobe will make their own statement and won’t look chaotic. If you are wearing a classic piece with thin, simple straps or if it is strapless, feel free to have fun with bolder baubles and leave your hair down—or up! Classic pieces give you more freedom in choosing from a wider range of jewelry and hairstyles. For a dressier event, always bring along a clutch and only bring your basic necessities which include (more or less) your keys, I.D., phone, and lipstick! And there you have it—a complete how-to on “wowing” at any important event that calls for some extra glam. Keep in mind, however, that this how-to is more versatile than you think and is not exclusively meant for those attending a formal event. You can refer to this how-to for a girls’ night out or a date night—i.e. makeup, shoe, and hair tips! 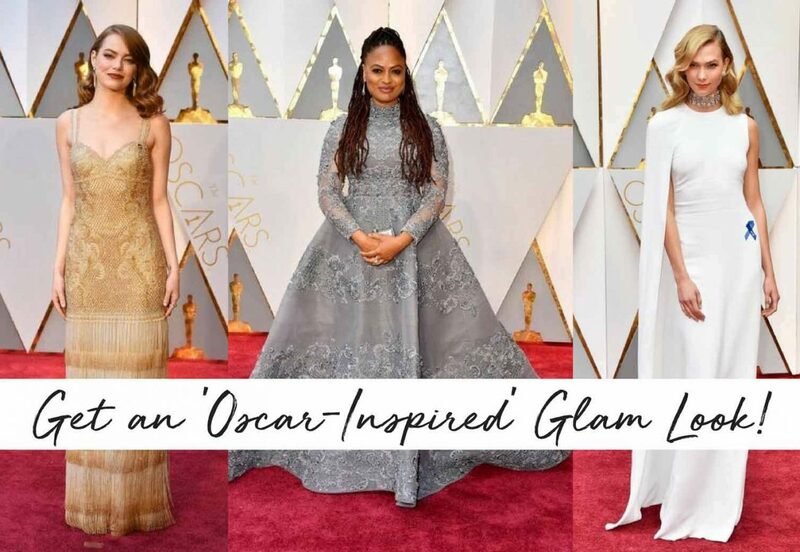 Cheers to the Oscars 2017 fashion icons for giving us style inspiration that we can use, reuse, and re-imagine all year long!